The Irish bishops’ overseas aid agency, Trócaire, is lobbying to outlaw the import and sale in Ireland of goods produced in illegal Israeli settlements. 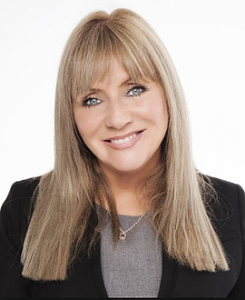 This Wednesday, 31 January, Senator Frances Black, with the support of the Seanad Civil Engagement Group, will propose a bill that will prohibit the sale of goods produced or manufactured in Israeli settlements on the Sinai Peninsula, the Gaza Strip, the West Bank and the Golan Heights. Since the 1967 Six-Day War, not only has Israel occupied these territories it has allowed towns and villages to be built there, and provided them with the necessary infrastructure, such as roads and electricity. The Fourth Geneva Convention of 1949 prohibits states from moving population into areas occupied as a result of war, therefore these Israeli settlements are illegal under international law. But while Ireland recognises this fact, so far it has done little to dissuade Israel from maintaining the settlements. “Since 1967, Israel has transferred over 600,000 of its citizens onto Palestinian land,” says Trócaire campaigns officer, Emmet Sheerin. “This is a serious violation of international law and has facilitated the widespread dispossession and displacement of Palestinian communities. The Trócaire campaigns team is calling on its supporters to contact the offices of the five major political parties – Fianna Fáil, Fine Gael, Labour, Sinn Féin and the Green Party – to urge them to ensure that the Control of Economic Activity (Occupied Territories) Bill 2018 is supported by a majority of senators when it is debated in the Seanad on Wednesday. “Trading with Israeli settlements amounts to tacit support for violations of international law, and makes empty words of their condemnation by the Irish Government,” says Sheerin. “Make your voice heard, contact the political parties. Trócaire strongly supports this bill as an important step towards the upholding of international law. Under EU law, goods produced in Israeli settlements cannot be labelled as ‘Made in Israel’, but frequently vegetables and fruits produced in the occupied territories are mixed in with similar goods produced in Israel before they are exported. However, it is possible to identify some agricultural products, household products and miscellaneous goods produced in illegal settlements by checking websites such as this one: progressiveisrael.org/list-of-settlement-products/.